what the Government’s plans are to extend the use of “the International Aid Budget to help Local Authorities assist refugees” from a one-off payment and whether Local Authorities in Wales will receive any moneys from the International Aid Budget now or in the future. Greg Clark responded that “representatives of local government are participants on the ministerial committee that is putting those arrangements in place. We will take their advice to ensure that all the different costs that are incurred by authorities are sensibly addressed in the settlement that we provide.” Guesses about what that answer means on the back of a postcard before the next GC, please. In questions to the Minister for Energy and Climate Change, I asked about the promotion of renewable energy, and the timing of the Tidal Lagoon Swansea Bay project, as the constituents of Neath “are eagerly awaiting the job opportunities and apprenticeships that will follow.” Andrea Leadsom, the Minister of State at Energy and Climate Change said, “the Government are incredibly keen on these new technologies, and we are looking closely at that tidal lagoon and doing our due diligence. The Government would like to support that project, but it must of course offer value for money. It has gone through the first stage of the process and it will take some time, but I assure the hon. Lady that that project, are on this Government’s agenda.” Apparently, the Government is choosing not to make waves at this point so I have followed this up with a letter and a written question. 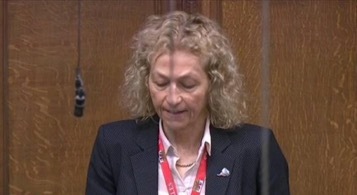 I asked the Minister for the Environment, Food and Rural Affairs about the import of puppies to the UK from overseas puppy farms and whether sufficient controls are in place to safeguard animal welfare. I intervened in the Chamber on the Trade Union Bill which is the worst attack on workers’ rights since the days of Thatcher. During the debate, I made the point that because local government and public services are completely devolved to Wales, the measures in the bill and the check-off could not possible apply in Wales. I also participated in the urgent debate on the UK steel industry. I mentioned that “Good quality jobs are desperately needed in our communities. We want to grow these jobs, not see a slow and inevitable decline of the UK steel industry.” I also urged Anna Soubry, the Minister for Small Business “to urge the government to address these issues as a matter of extreme urgency.” I and all the members who spoke in this urgent debate asked the government to hold a summit of important stakeholders. At the end of the debate we were overjoyed when the Minister granted a summit. I participated in meetings of the Justice and Welsh Affairs committee, and in the latter questioned Secretary of State Stephen Crabb about the Severn Bridge tolls, asking him: “What progress has been made since the Westminster Hall debate on the future of the tolls?” I asked him as well, whether there are any plans to devolve the tolls, seeing as Nigel Farage seems to think they are already devolved to Wales. 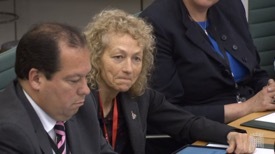 I attended APPG meetings on Welsh Tourism, Animal Welfare and Sport. I also attended the special screening of “Jack to a King – The Swansea City Story”, arranged by Carolyn Harris MP for Swansea East. I am looking forward to Party Conference Recess and attending Conference in Brighton where I am scheduled to attend a number of talks and fringe events pertinent to Neath. If anyone would like more information on my constituency and parliamentary work please do not hesitate to get in touch.